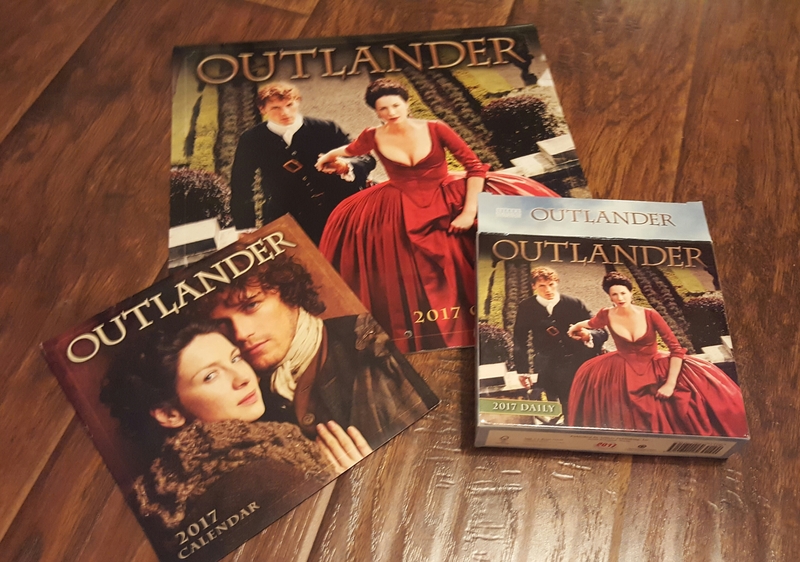 Three 2017 Outlander calendars are available to purchase for fans to purchase to adorn their walls and desks. With 2017, there is the addition of a mini calendar to the wall and daily calendars from 2016. All three calendars have images from season one and two. Below is a video I made of the three calendars. I apologize in advance for “umms” that permeate my vocabulary when I am making these videos. There will be a giveaway for all three calendars coming up in July or August, so stay tuned. If you purchase the calendars through the below links, we will be receive a portion of the purchase price to support this site and its writers. This entry was posted in Merchandise and tagged Calendars, Merchandise by Sarah Ksiazek. Bookmark the permalink.